Solid: Please refer to available lace colors for Stretch Crepe. 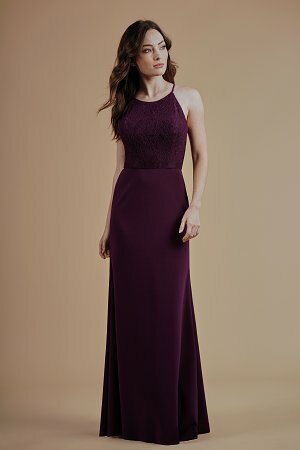 Simple lace and stretch crepe floor length bridesmaid dress with a jewel neckline and high neck back. This simple, pretty bridesmaid dress is perfect for a minimalist wedding.